The Veterans of Unpopular Wars bartender is a bartender at Veterans of Unpopular Wars. Grampa came into the bar and asked for a beer and if he could tell the bartender his troubles. 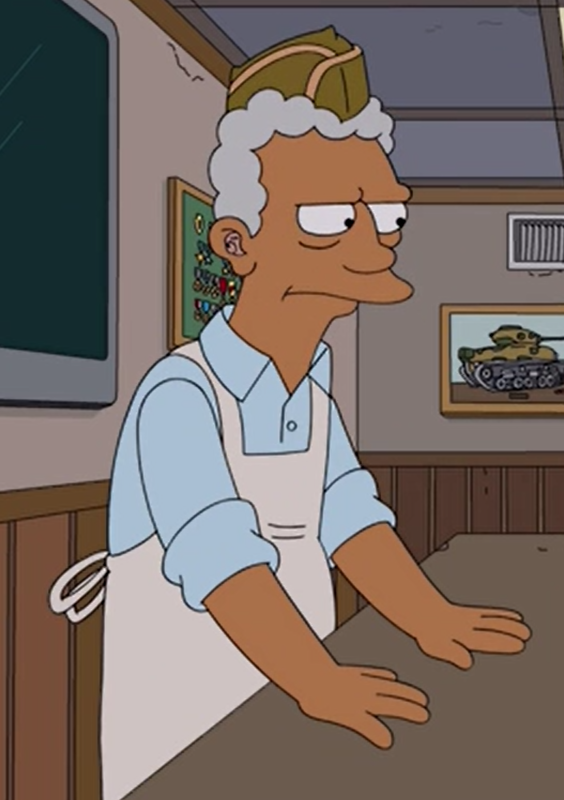 The bartender then turned his hearing aid down to minimum volume whilst Grampa told his story. Later, the bartender sent Grampa back to Homer. Grampa then told the bartender that there was a drunk peeing himself in the bathroom, to which the bartender responded that it was a mirror, and that wasn't a bathroom. Modified on November 11, 2017, at 08:18.